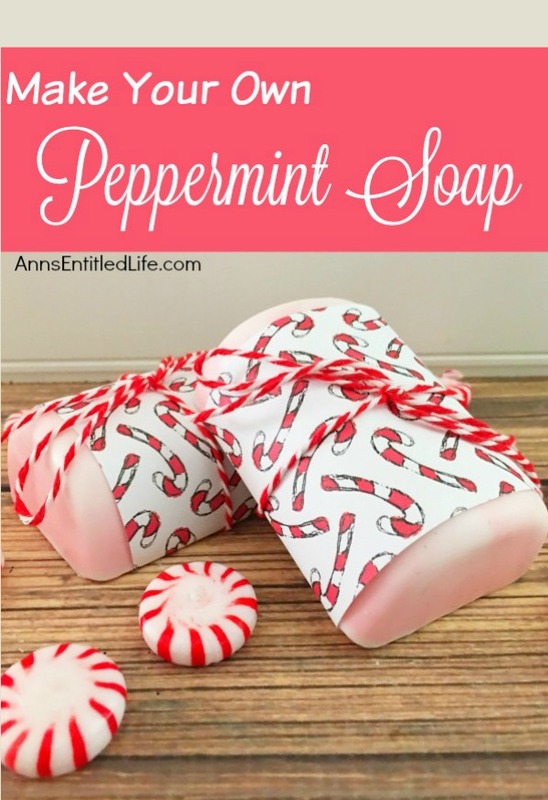 Try this easy DIY Peppermint Soap Recipe. The wonderful and invigorating peppermint scent will wake you up in the morning. Making homemade soap simpler than you would think, you control the ingredients, so you know exactly what is in the soap you are making and using. I love making soap. 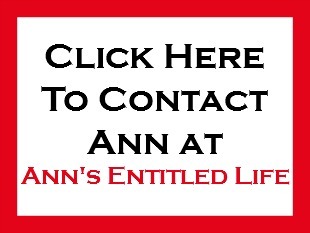 it is wonderful to customize the scents, the colors, and really make great seasonal soaps to use at home or give as gifts. And these would make excellent holiday presents. Soap-making these days is much easier than you think. 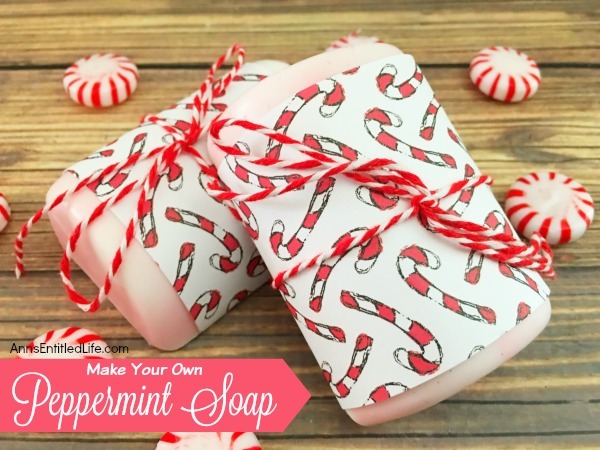 If you have not tried to make your own soap, give it a go – this peppermint soap recipe is a great one to try. 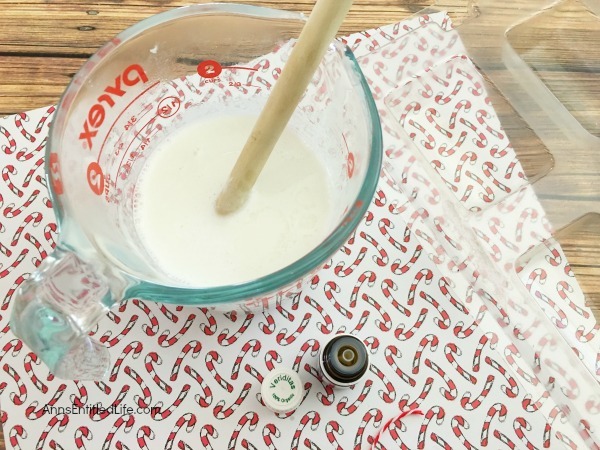 This peppermint soap recipe is really very basic. 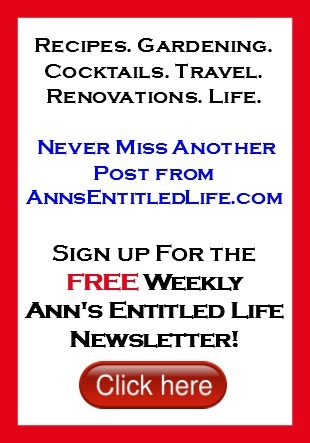 It is one of those “anyone can do it” recipes. 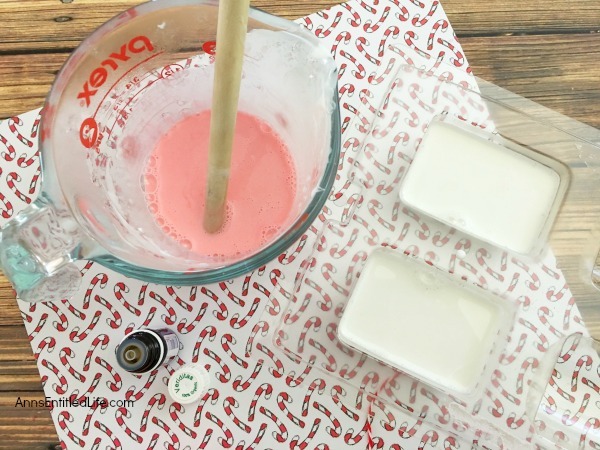 For more complex soap making recipes, you might enjoy this How To Make Homemade Rose Soap Using Real Roses recipe and tutorial (it is truly stunning) or this Lavender and Oats Goat Milk Soap Recipe (oh soooo spa-like!). 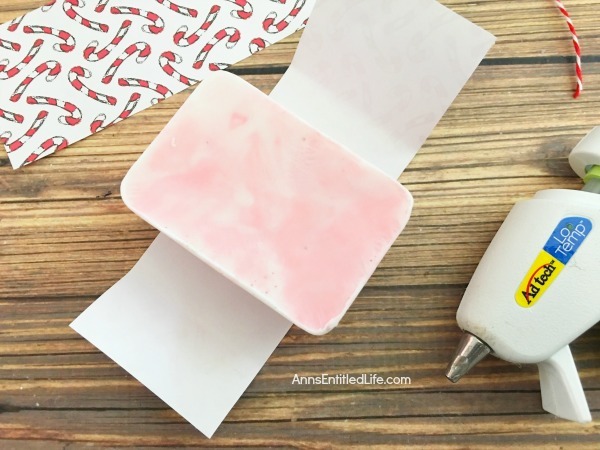 • Cut 10 ice cube sized pieces off your soap block. 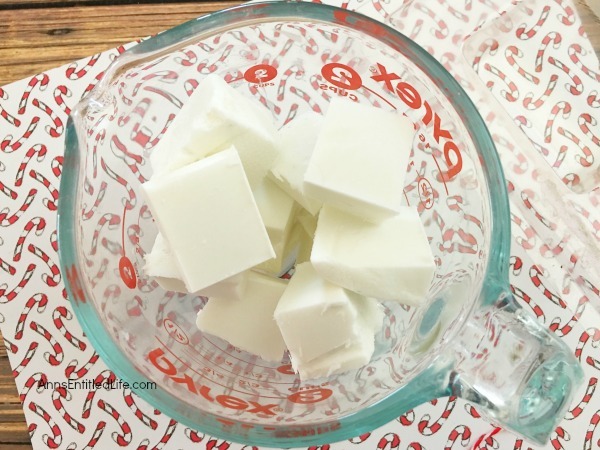 • Place cut soap base into a large measuring cup. Microwave for approximately 2 minutes or until melted. • Add 8 drops of Peppermint Essential Oil to the melted soap base; mix well. 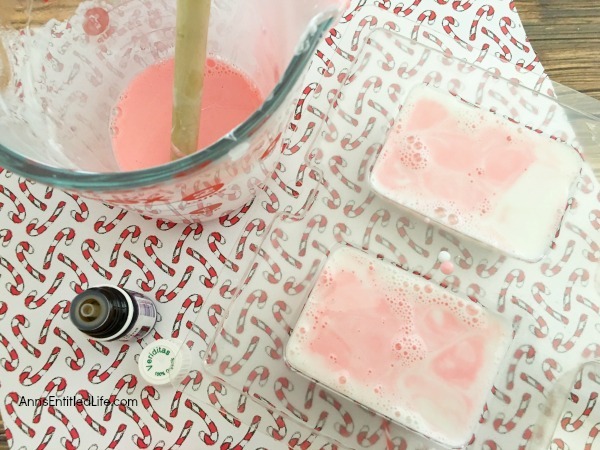 • Carefully pour the liquid peppermint soap into a soap molds, filling about 7/8 way to the top. 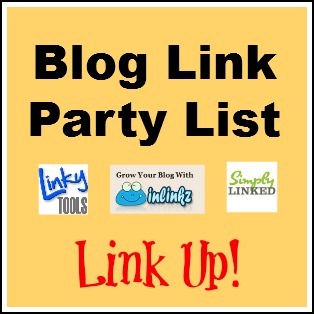 • Add a two drops of red soap colorant (do NOT use food coloring) to the remaining liquid soap in the measuring cup; mix well. • Pour the red soap base into the white soap already in the soap molds. 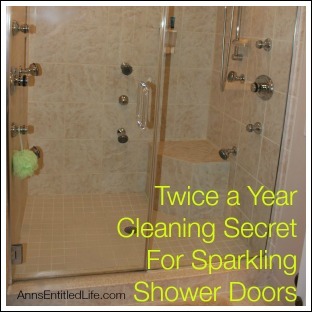 • Lightly spray the soap with rubbing alcohol to prevent bubbling. • Carefully transfer filled soap molds onto a flat surface in the freezer. 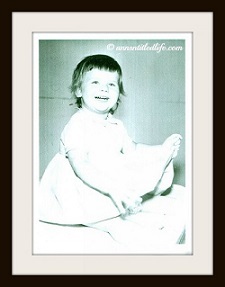 • Freeze for 30 minutes. • To remove the soaps from the molds: pull on the sides of the soap molds and press on the bottom of the molds (each individual one) to remove your soaps. 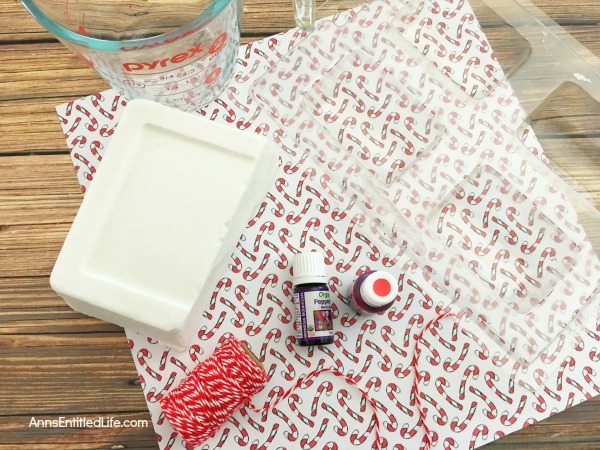 • Cut a 3″ x 8″ piece of scrapbook paper, wrap it around the middle of your soap. Hot glue the bottom paper together to form a wrap. 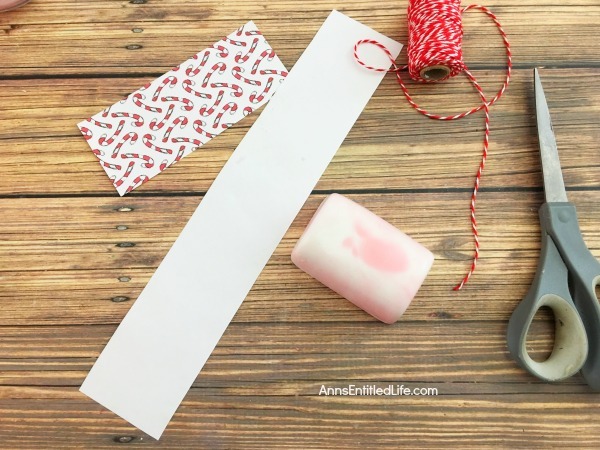 • Cut a 12″ piece of red and white twine, wrap it around the paper and tie into a simple bow. 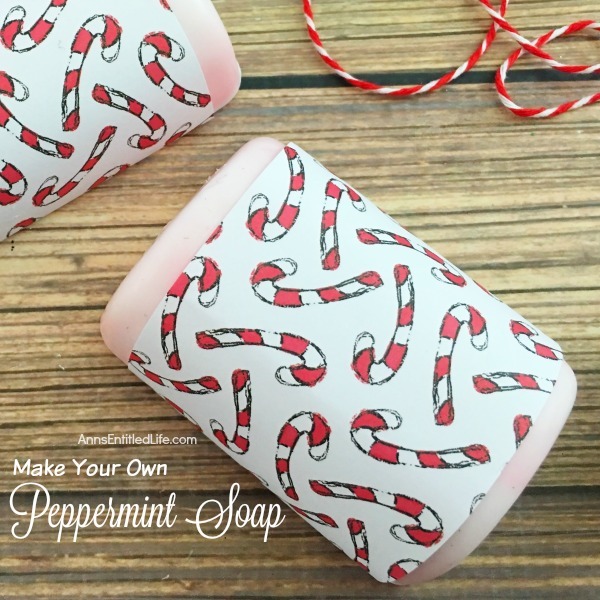 • Perfect for display, gift giving, or to set in a linen closet to infuse with a peppermint scent! 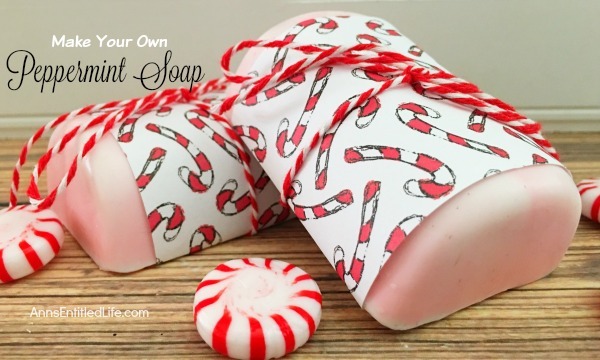 • To print the Make Your Own Peppermint Soap Recipe click here.